Captain of industry, a pioneer in the world of sport horse breeding, and founder of the Zangersheide stud farm, Léon Melchior passed away at his home in Lanaken on November 11 at the age of 88. Léon Melchior realized the first of several dreams when, in 1992, his own-bred Ratina Z won team gold and individual silver at the Barcelona Olympic Games – a mare who subsequently became known as the ‘dam of the century’. A few months later, he founded Studbook Zangersheide and, for 10 straight years until 2015, he was the leading breeder of sport horse stallions approved by member studbooks of the World Breeding Federation for Sport Horses and published in the Breeding News Stallion Directory. 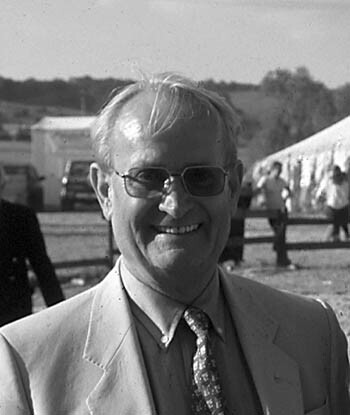 Although it came some two decades years after he first launched a small stud farm in Belgium in the 1970s, Zangersheide’s prominence was consolidated when Melchior’s innovative stud farm provided a home for the showjumping World Breeding Championship for Young Horses. It was a vision he shared with his wife, Judy and daughter, Judy-Ann, herself an international rider.